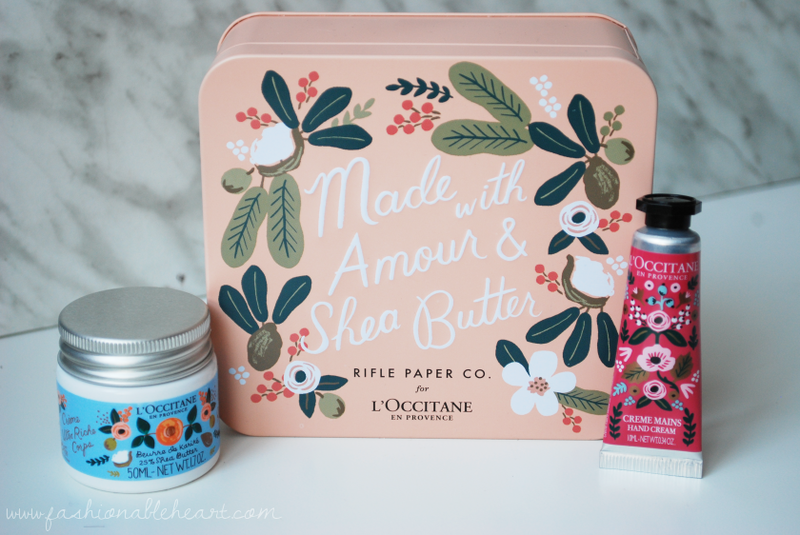 Have you picked up or ordered your free gift from the Rifle Paper Co. and L'Occitane collection? Today is the last day! You can get one in stores or by making an order online and entering the code "RIFLEPAPER18". I know I'm last minute on this, but just wanted to give a heads up to anyone that might still want to take advantage! My husband knows I had my eye on the collection, because two of my favorite brands coming together? Umm, yes! He went to three different stores to find this freebie in stock for me. Is he a keeper or what? I'm in love with all of the packaging and I might just have to splurge on a few things if it is in our budget or if any is still in stock. 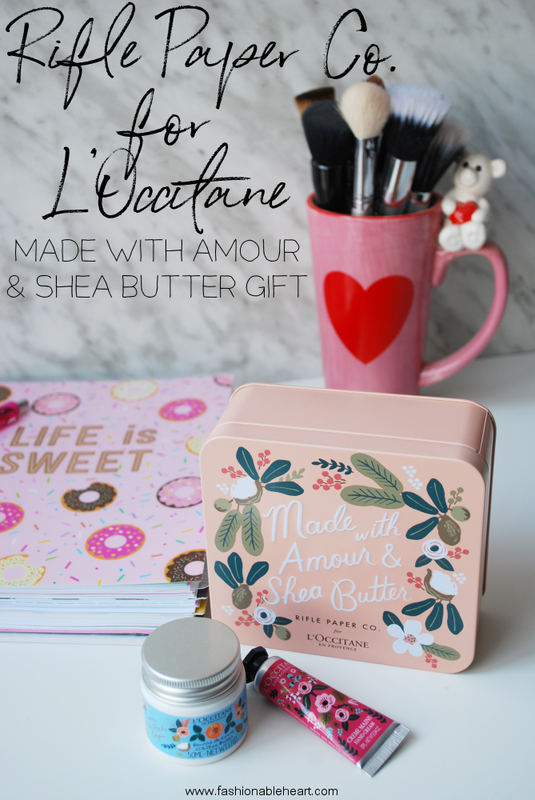 This little mini set comes in the prettiest tin. I can't wait to find a new use for it and display it. It's too pretty not to. I did see some sets on Instagram have different minis, but mine came with an Ultra Rich Body Cream and a Hand Cream in Wonderful Rose. 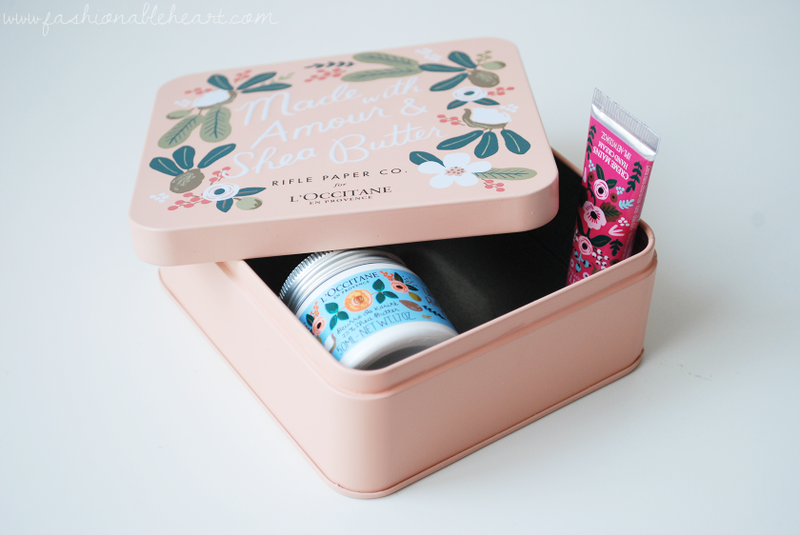 I'm already a fan of both products and have full sized versions, so I'm happy to have them in mini sizes for travel. Well, I have a full sized hand cream but not in the rose scent until this one. Always nice to add a new scent to the mix! 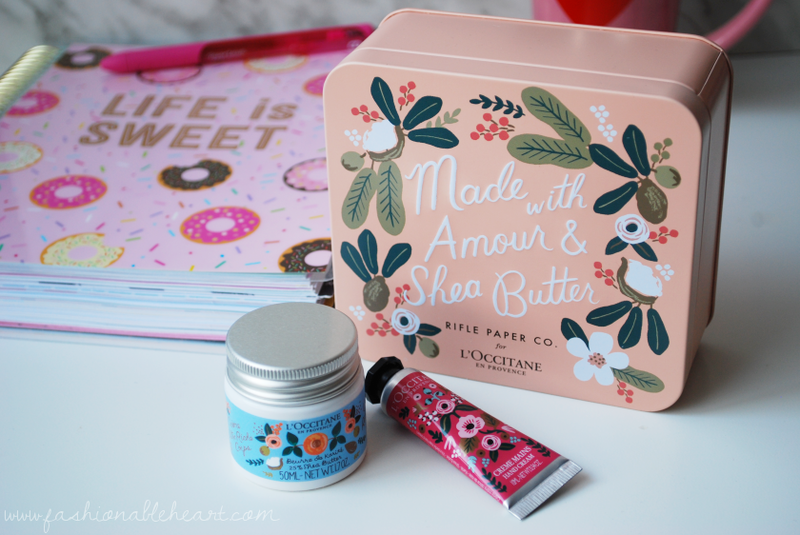 I'm so excited to have the pair in the gorgeous floral prints that Rifle Paper Co. is known for! Such a great little free gift they have offered. I hope you're able to get one!